"What why and if" is a YouTube channel, and my name is kamlesh kholiya i make technology related videos. please friends visit my YouTube channel and subscribe my channel i hope you will like it. Thank you so much. 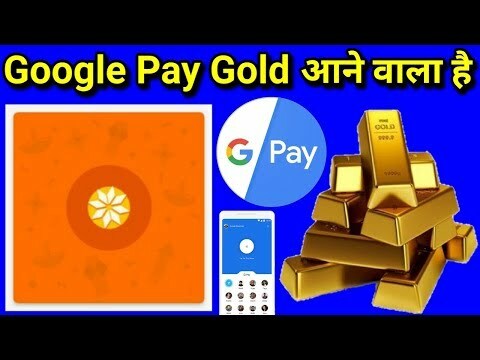 Hello friends in this video i am telling you about Google Pay’s New Gold Investment Update, Now soon you can buy and sell gold by google pay. If you like the video then please subscribe to my channel for more interesting videos and updates, and dot not forgot to share the video. Google users can now start investing through the app as the technology firm prepares to launch ‘Gold’ as an investment plan on its platform , according to two people in the know of the matter. This will be the first such move by Google in the buzzy online investment space. Hello friends in this video i am telling you about Google Pay fraud Customer care, who are calling to google pay users, and doing fraud with google pay users. So please be aware, and watch the video till the and. Hello friends in this video i am telling you about Google Pay’s New Dunzo Scratch Card, from there you can earn upto Rs.20 to Rs.200 rupees. Hello friends in this video i am telling you about Google Pay’s Swiggy Scratch Card, from there you can earn Rs.25 to Rs.100 rupees. Hello friends, in this video i am telling you about a new paytm cashback offer which is coming from OYO app. From there you can earn upto Rs.100. Hello friends in this video i am telling you about Google Pay’s New Niki Scratch Card, from there you can earn Upto Rs.200. What why and if is a youtube channel, and my name is kamlesh kholiya i make technology related videos. please friends visit my youtube channel and subscribe my channel i hope you will like it. Thank you so much.